A cultured midfield general who joined Wigan Athletic in August 2009 from the Spanish club Rayo Vallecano. Mohamed is a physically powerful centre midfield man who was a regular in the Latics team during 2010-11 missing just a couple of games. He was influential again in 2011-12 but missed time through injuries and on international duty, and started in less than half the League fixtures. He began his career at Lens before moving to play in Spain. He was born in France but qualifies to play for Senegal and made his international debut for the African country against Cameroon in March 2011. He was a member of his country?s squad for the London Olympics in the summer of 2012. 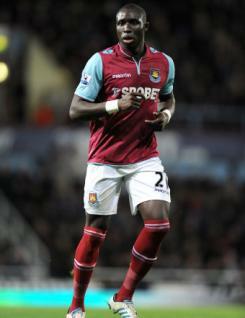 Mohamed was out of contract and moved on to sign for Barclays Premier League new boys West Ham United in June.